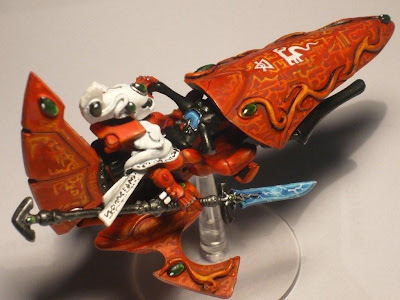 Here's my latest model, a conversion of a farseer on jetbike. 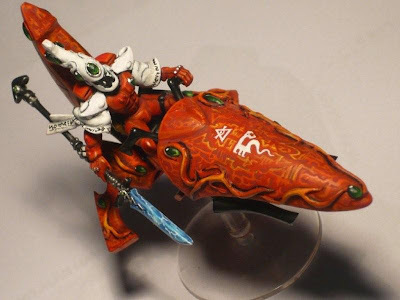 Made from parts of an eldar jetbike and rider, a guardian torso and head, the power-weapon from a dire avenger exarch and parts from the heavy weapon platform. It's still a lil bit on the WIP, but I'm not quite sure what to do more to it yet. Thanks for viewing and comments are welcome, thanks! I like the extra chair back. Makes it look like a throne. I personally think that is superb mate. The green stuffing, the chair, the freehand, all of it is great! 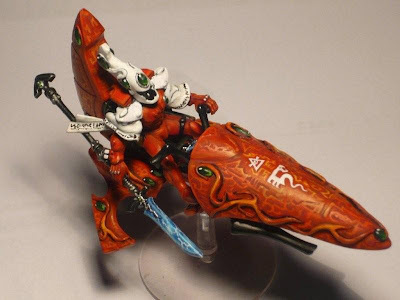 I really love your Saim-Hann. 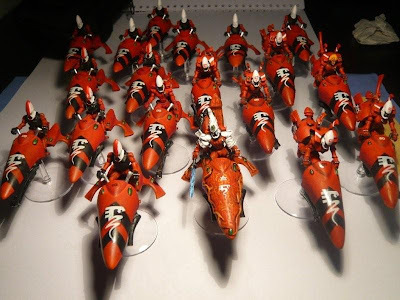 Are you painting any more soon, or are you continuing with your Tau? 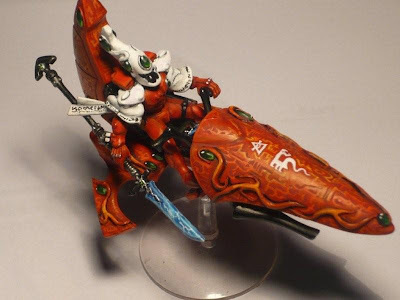 Awesome, love the jetbike- the back fin is a weapons platform fin? 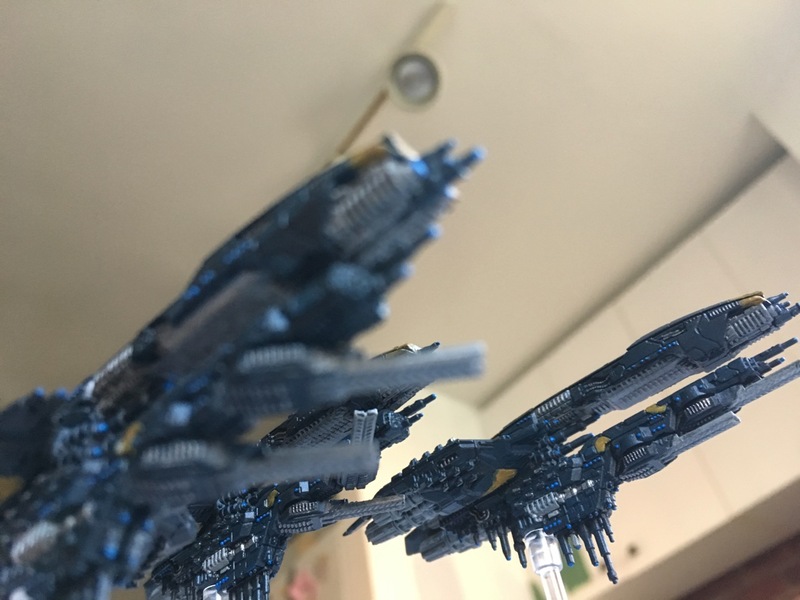 the rear bit of the platform, is usable too, and I'm attaching it to my autarch bike which make it look like its equiped with turbo vecto thrusters.